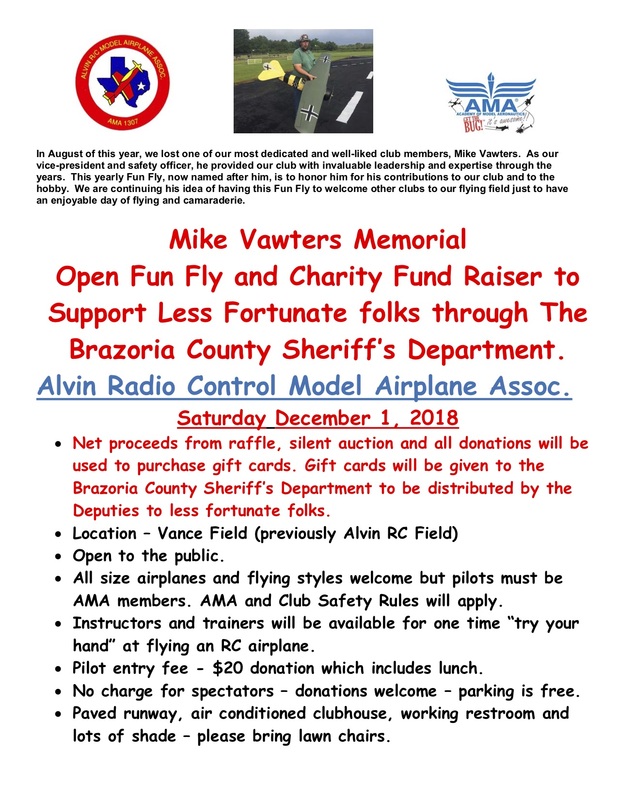 Mike Vawters Memorial Open Fun Fly and Charity Fund Raiser to Support Less Fortunate folks through The Brazoria County Sheriff’s Department. Net proceeds from raffle, silent auction and all donations will beused to purchase gift cards. 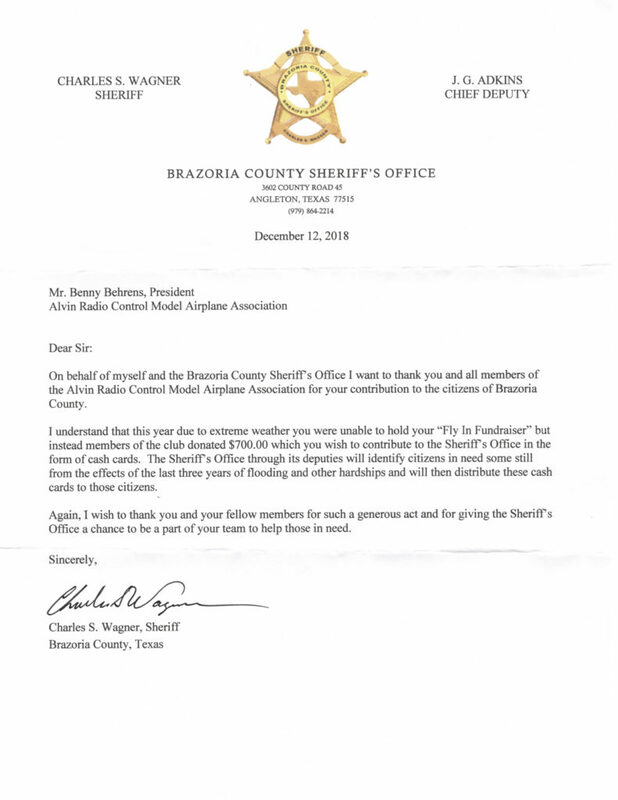 Gift cards will be given to the Brazoria County Sheriff’s Department to be distributed by the Deputies to less fortunate folks. 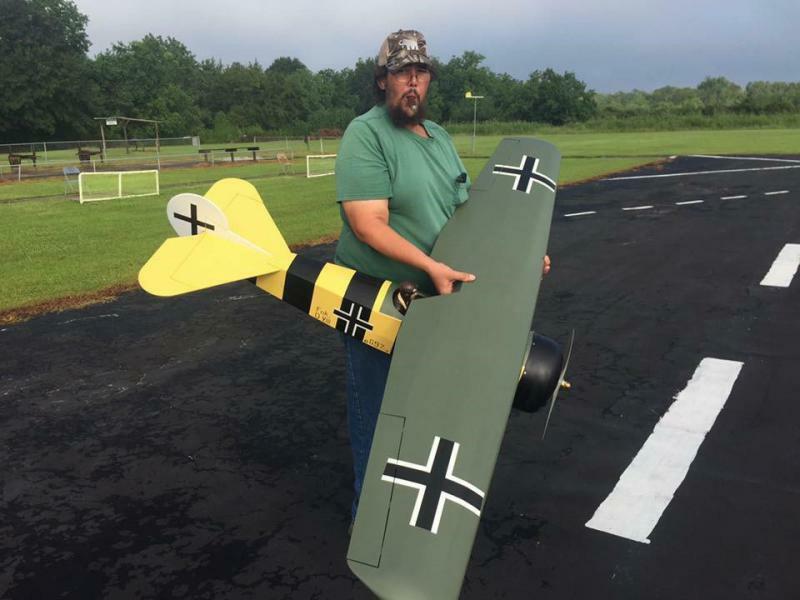 In August of 2018, Alvin RC Model Airplane Association lost one of its most dedicated and well-liked club members, Mike Vawters. As Vice-President and Safety Officer, he provided the club with invaluable leadership and expertise through the years. 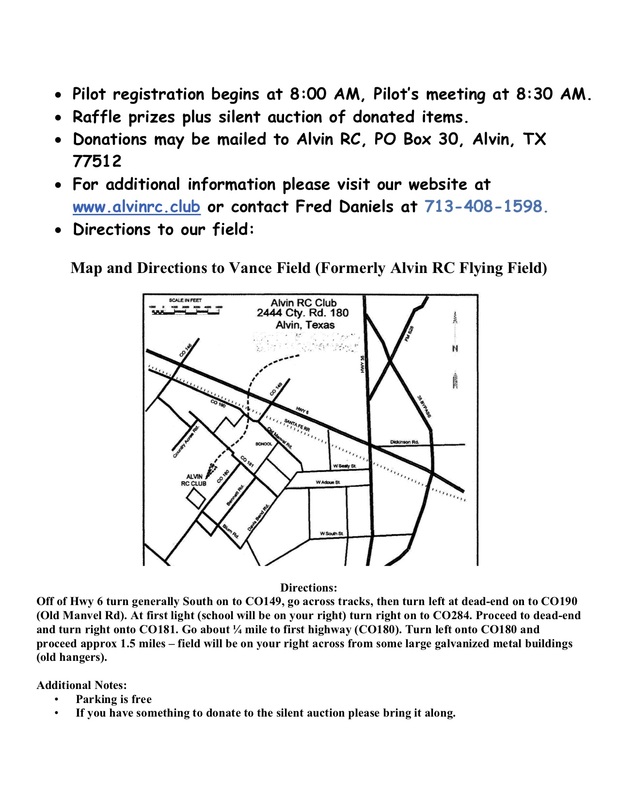 Alvin RC’s yearly Fun Fly, now named after him, is to honor him for his contributions to the club and to the hobby. 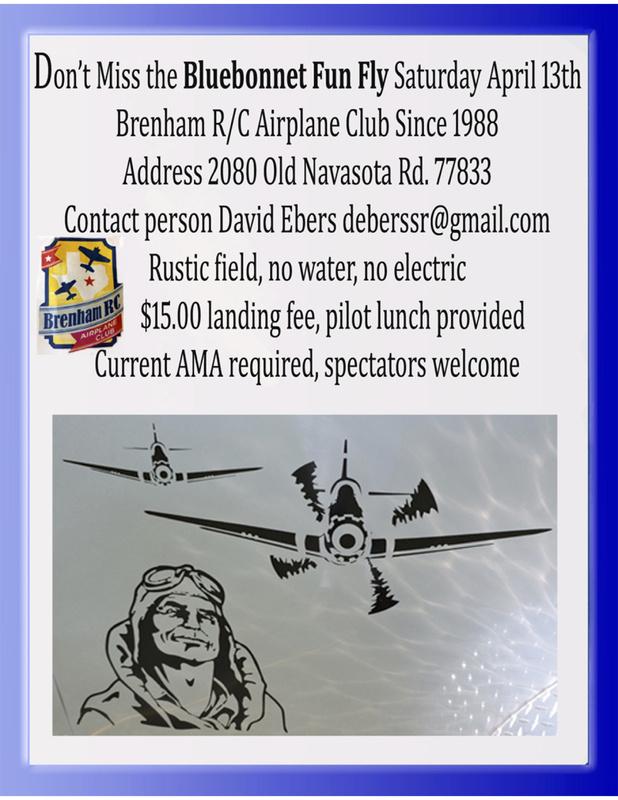 We are continuing his idea of having this Charity Fund Raiser Fun Fly Event to welcome other clubs to our flying field just to have an enjoyable day of flying, camaraderie and to support a very worth while cause. 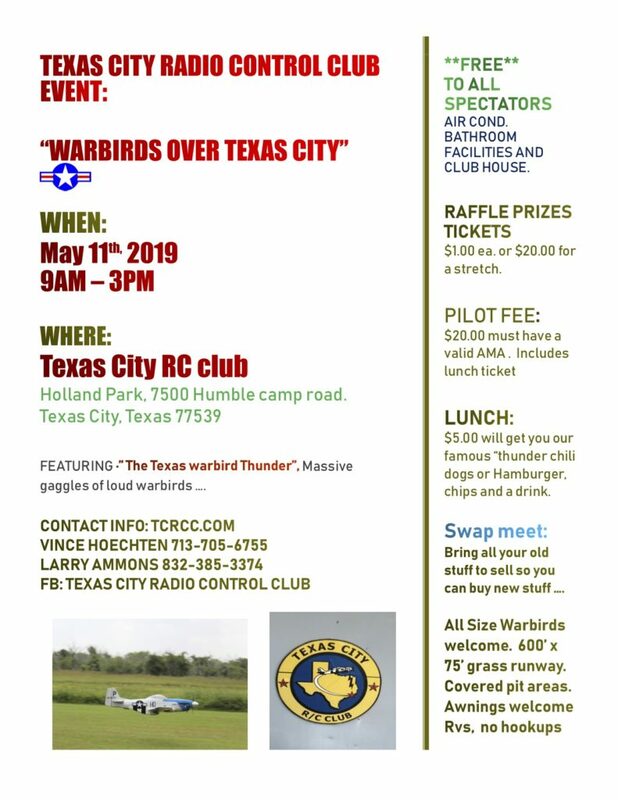 Be sure to check our the RCHouston Page to see all the RC events in the area. Our October meeting is on Saturday the 27th. Meeting starts at 9:00am. Come down and join your friends and meet and fly. This Wednesday night 8/29/2018 we will be treated to a very special meal from Mrs. Pierce. Joyce will be preparing her family recipe of beef stew and corn bread. So come out for a great meal, great talk and great flying. If you’re lucky you’ll even get to see Mark crash another plane! Cost is $5 includes drink. 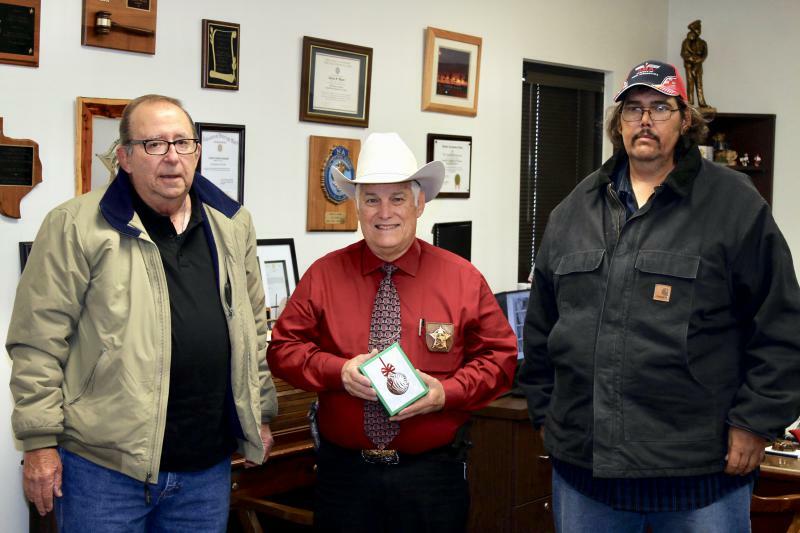 Tip is included for parties of any size. Attire is optional, Ooops I mean casual. What could be more fun on a Wednesday night?? 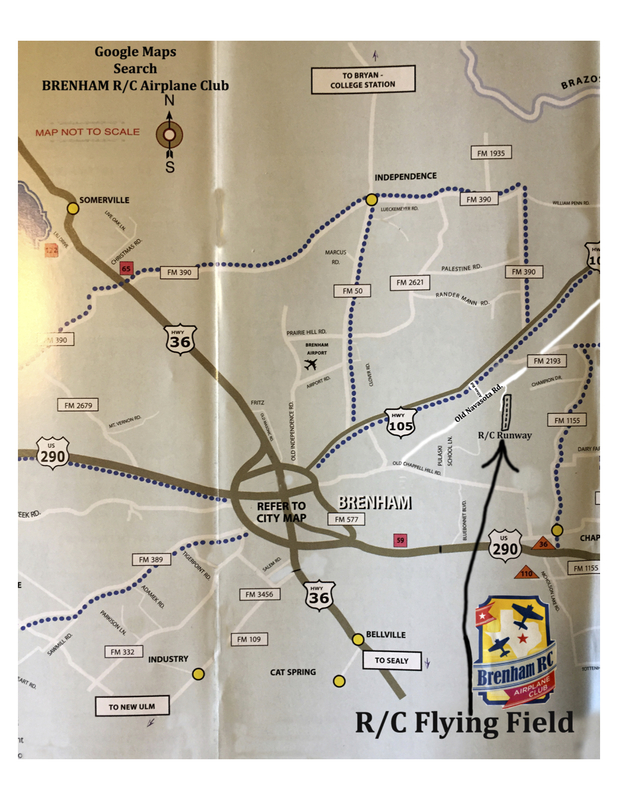 Our August membership meeting is Saturday August 25th. Meeting starts at 9:00 am. Come on over to the field and meet, greet and fly with your buddies.